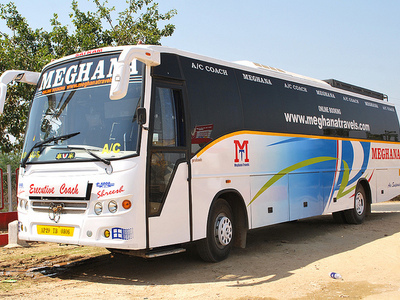 launched new services hyderabad <=> amalapuram < = > hyderabad 2+1 a c sleeper & seater via :- vijayawada , hanumanjunction , eluru, tp gudem, tanuku, peravali, annavarapadu, siddantam, ravulapalem, kothapeta, ambajipeta, mummidvaram, muramalla, edurulanka, yanam. 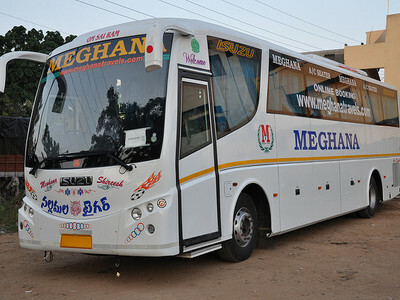 launching online hyderabad<=> giddaluru <=> hyderabad volvo b9r multi-axle semi sleeper via:- kurnool , nandyala . 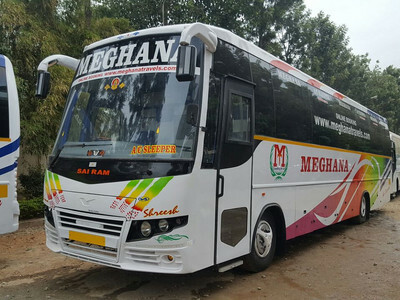 launched online hyderabad <=> tirupathi < =>hyderabad volvo b9r multi-axle semi sleeper via :- kurnool , nandyala bypass , allagadda , mydukuru , kadapa , rajampeta , railwaykudur. 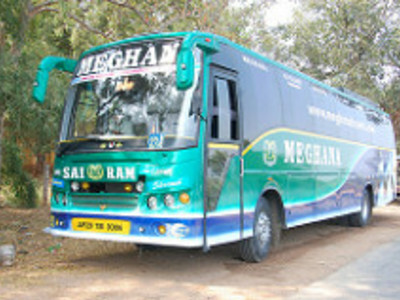 lanched online hyderabad < = > giddaluru <= > hyderabad 2+1 ac sleeper via: - kurnool , nandyala. 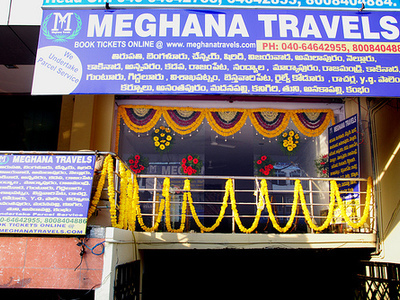 The secret of MEGHANA TRAVELS success is a sincere and committed approach to tourist's requirements, anticipating their needs and working towards providing full satisfaction to the customers. 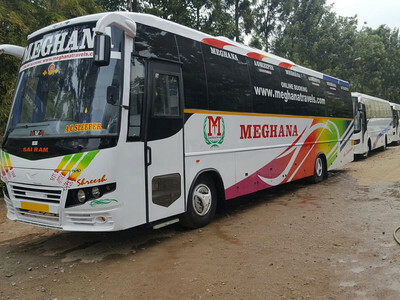 The idea of MEGHANA TRAVELS is to present a safe journey to people, with comfort, ease and pamper them with little luxuries. 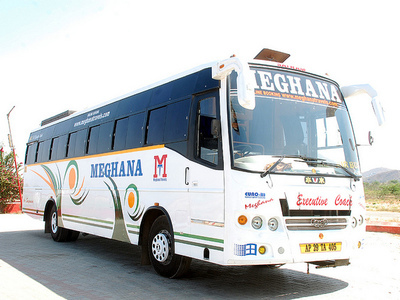 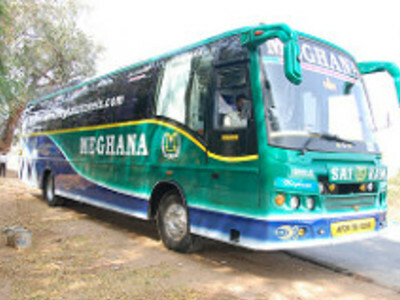 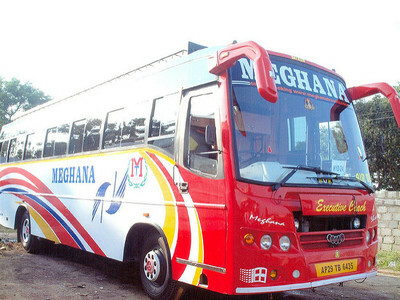 MEGHANA TRAVELS offers cheap and comfortable transport to the customers. 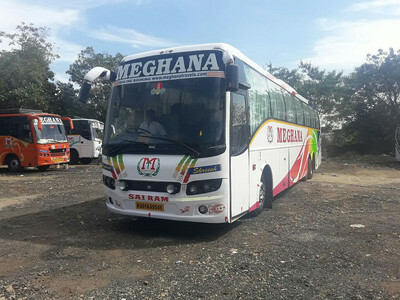 While MEGHANA TRAVELS is well known for its regularity and on-time performance, its group companies also provide value added services to its customers. 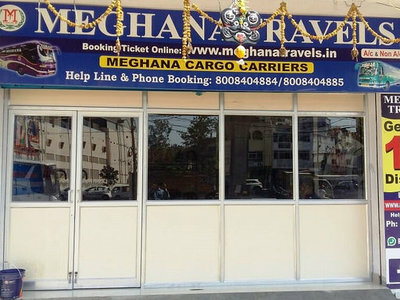 MEGHANA TRAVELS CARGO CARRIERS offers value-priced parcel delivery to all its destinations. 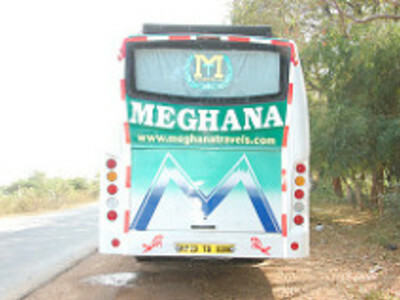 MEGHANA TRAVELS delivers sooner than any other carrier in its sector. 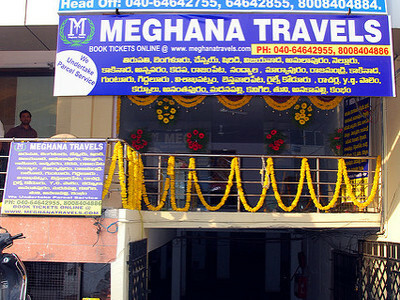 Basically, MEGHANA TRAVELS is a travel company located in Andhra Pradesh . 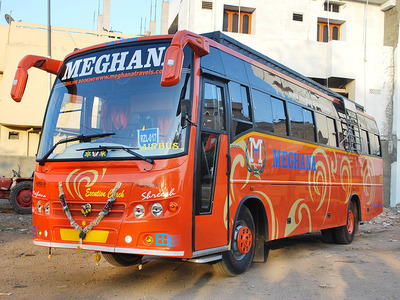 They offer a wide range of bus tickets for Hyderabda, Rajahmundry, Vijayanagaramm, Markapuram, Nandyala, Giddalur and for other major Indian cities as well. 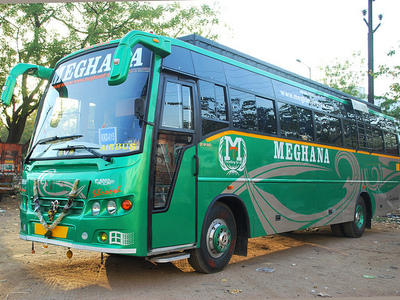 MEGHANA TRAVELS has online and offline reservation system where not only booking but enquiry about its bus schedule can be obtained. 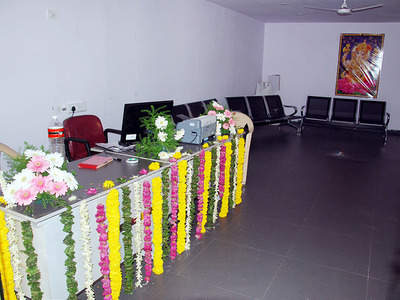 Signup to create agent account with us. 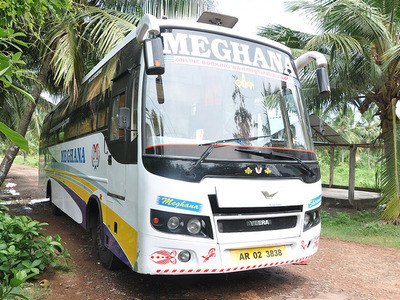 Track your bus location for more accurate timings.